Executives around the world are under pressure to innovate or die, with the value of information and security among the top priorities for all businesses. Adoption of cloud technology is important where there’s elastic demand, helping businesses map their metabolism and only pay for computing resources as and when they need them. 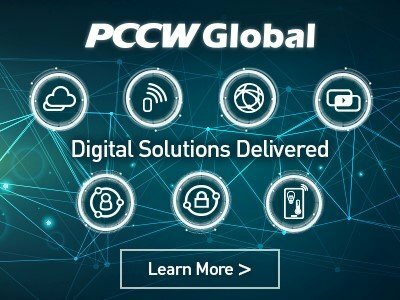 Carrier Community (CC) organized its second CC – Digital Cloud Summit event in London on 13th & 14th February 2019 at the Royal Lancaster Hotel and invited cloud companies to attend, meet and network while exploring business opportunities and show casing their latest solutions. Companies from various segments such as Application, Content Providers, Cloud, Security, Data Storage, Mobile, Datacenters, Enterprises and other related segments participated and met in one place. All Digital Cloud registered guests had free access to the Europe 2019 GCCM event taking place in the 2nd ballroom at the Lancaster Hotel. 1000+ telecom executives will attend this 12th annual conference. Please click here to view more details about this parallel event. 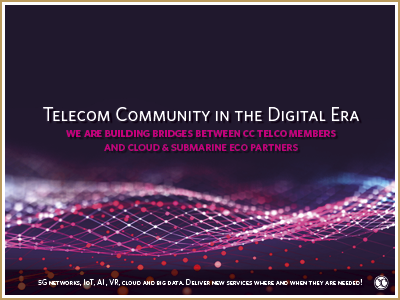 To further build a bridge between cloud operators and wholesales telco service providers, submarine and MVNO operators, CC organized in parallel also its annual CC –Submarine and MVNO and GCCM Summits at the Royal Lancaster London Hotel in different ballrooms to enable all to meet, share knowledge, network, explore and close deals. All cloud operators had free access to these summits and all panel sessions and key-note speakers as well as exhibition areas. Please visit CC- event portal to view more details about these summits. Executive Round Table Panel Discussion Session. Royal Lancaster London is Hyde Park’s commanding mid-century architectural icon born and built in the swinging 60s. Our happy history has seen us hip, handsome and rolling with the times in our unrivalled London location. Today, here in the 21st century we’re proud of the knowledge and expertise we’ve gained over half a century as one of London’s leading hotels. Single Occupancy: £259,20 per night. Double Occupancy: £284,40 per night. To reserve a room at special corporate rate, please click here. The special rate is the subject of availability. Kindly note: The above rates applies on the dates 12th – 14th February. For any other dates you need to contact the hotel. Arun Dehiri is Red Dawn’s founder and Managing Director. 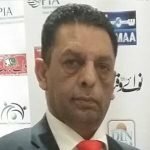 He is a pioneering management consultant with 23 years of experience in media, telecoms, finance & management. Arun has spent 17 years in leading professional service firms including PWC, TMNG & Analysys Mason, grounded with 6 years of industry roles within BSkyB and Orange. 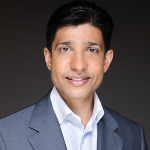 Arun originally founded a boutique consultancy in 2004, which was acquired by Analysys Mason where on the Executive Board, led its Telecoms Sector and was the Sales Director. Arun leads strategy development and delivery teams for blue-chip brands and early growth companies across the globe addressing strategic & operational requirements. Most comfortable at the white board, Arun inspires clients to realise corporate visions and personal aspirations by delivering his thought leadership in a clear, concise and considered manner. 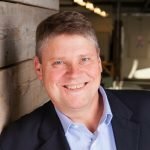 He has developed strong C-level relationships and a trusted team of high performing consultants with both sales & operational capabilities.He has an exceptional approach to identify opportunities through market insights, listening to clients needs, and rapidly translating these into a solution framework. He is regular conference speaker and an expert in convergence, pricing, proposition innovation, mobile virtual network operators (MVNO), sales optimisation, mobile applications, enterprise solutions, mobile banking, financial and organisational transformation,IT & networking and KPI optimisation. Arun has developed a rich toolkit of robust analytical and strategic programme methodologies. Abdullah Alsamhan was appointed in 2013 as General Manager for International Cable Systems Management in STC’s Wholesale Business Unit. Under his leadership, STC continues to be play a major role in the region & all consortium and other international cable systems; with him leading the evolution and development of STC's robust global network including STC's International Submarine Cable Networks. STC’s International Cable Systems is enabling STC to maintain its position as one of the main supplier of bandwidth in the region and as a provider of innovative, reliable and high-quality telecommunications services. 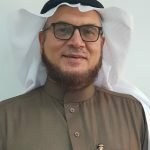 Prior to his current position, Alsamhan was General Manager, International Network & Service Management Operations where he successfully steered STC international network, contributing and collaborating with key stakeholders in STC to promote the adoption of the latest technology and services within KSA. Abdullah Alsamhan has more than 30 years of leadership and management telecom experience in the Middle East, Africa and Central Asia region driving regional and global business development and strategic growth, strategic partnership, joint ventures and alliances, products’ and services’ visibility and managing telecom salesforces across multiple geographies, including Strategy & Business Development, Technology Development and Operation, Financial Planning, in addition to his active participation & leading many international cable organizations. • Chairman of the Management Committee for SMW4 (South East Asia Middle East Western Europe-4) from January 2010 to February 2018, and leading the biggest upgrade undertaken for this system. • Chairman of the Management Committee for SMW5 (South East Asia Middle East Western Europe-5) since November 2017; the last and most advance and famous series of submarine cables in the industry. • Currently, Chairman of Management Committee for Africa-1 cable system. • Chairman of the Technical Committee of JADI (Jeddah Amman Damascus Instable) Cable System, which is the first cable connecting Middle East & Europe through terrestrial link and as an alternative route. • Chairman of the Technical Committee of SAS1 & SAS2 (Saudi Arabia Sudan) cables. • Representing Saudi Telecom Company (STC) in all major subsea international events and conferences. He is also managing STC investment in all international cable systems STC is investing in (SMW3, SMW4, SMW5, IMEWE, EIG, SAS1, SAS2, EASSy). Alsamhan possesses vision for long term strategic planning and developing new markets, and vast international work experience. He is an expert in building internal and external collaborative relationships, developing creative and innovative initiatives, exploiting new business opportunities and driving strategic programs through complex negotiations. Alsamhan obtained his BSc in Electrical Engineering from King Saud University – Riyadh KSA in 1988. 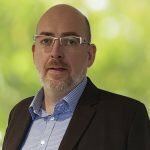 With over 30 years’ experience in the telecoms industry, Conrad brings a wealth of knowledge to his role as Chief Network Architect at SSE Enterprise Telecoms having previously held several senior roles at Level 3, which included overseeing many large-scale network enhancements and significantly expanding their European network reach. Within SSE Enterprise Telecoms, Conrad is responsible for defining, delivering and maintaining the technical architectures that support our existing portfolio, as well as any new ground-breaking technologies. 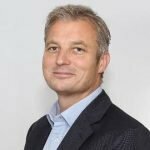 Christopher (Chris) Street is Group Chief Marketing Officer of ST Telemedia Global Data Centres (STT GDC). He oversees the company’s global marketing initiatives and strategic account management across the company’s portfolio. He was previously Group General Manager of STT GDC, overseeing the company’s data centre portfolio in Singapore, and was responsible for building services and programmes to support customers’ needs across the STT GDC group. Chris has been in the internet infrastructure industry for over 20 years, and has built and scale businesses in service provider and end-user environments. Prior to STT GDC, he was at Amazon where he was responsible for the acquisition of strategic technical infrastructure such as network and data centre services across the company’s global footprint. 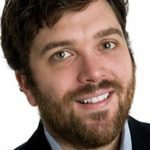 Prior to Amazon, Chris held various positions in the Sales, Marketing and Technical Operations functions at companies such as Switch & Data, AT&T, Equinix and CERFnet. Chris graduated from Baruch College, NYC, with a Master’s in Business Administration and a Bachelor’s Degree from Indiana University Bloomington, USA. 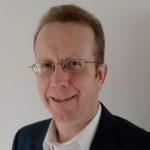 He worked in telecoms for over twenty years building a wide range of experience in various engineering roles within major operators such as WorldCom, and vendors like Nortel, Genband and now Positive Technologies. His initial time in the industry was spent working extensively on legacy telecom exchanges, moving from maintenance, to commissioning, integration, and then specializing in protocols. In 2005 he made his first move into telecom security, taking a position with a vendor specializing in SBC’s. Then in 2017 the opportunity came to join Positive Technologies which has provided the chance to see telecoms security in a different perspective. Alexey Yanson graduated from St. Petersburg State University with the degree in Economy and Business Administration. Alexey has been with LANCK Telecom since the company foundation. Started as a Business Development Manager 17 years ago, Alexey became CEO of LANCK Telecom in 2008. Under auspices of Alexey LANCK has become one of the relevant telecom market players involved in GSMA association, PTC, CC and other telecom carrier communities. 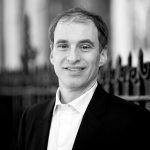 Daniel is a co-founder of Preiskel & Co and has over 20 years’ experience working in the telecoms, media and technology sectors, advising across the globe. He has been ranked for over 15 years in major independent research guides as one of the world’s leading communications lawyers. He is particularly recognised for commercial and regulatory work in the UK and overseas. He also advises various clients (including a major Korean handset manufacturer) on international investments and acquisitions as well as on major privatisations. Recent work includes advising a group of mobile operators and content providers in reversing a decision of a European telecoms regulator. He has recently been advising Japanese and Middle Eastern mobile network operators on MVNOs as well as advising a range of MVNOs & MVNAs in various continents. 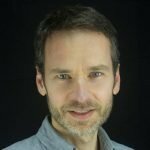 Daniel, together with his international team, typically advises companies on the legal aspects of their multi-national services, with an increasing amount of advice on cloud issues, software as a service, privacy and data retention issues. Ian is a telecommunication professional and has been working in the industry for 30 years. Ian’s passion is working with those who seek to develop cross technology end to end solutions based upon sound business drivers, as well as evangelising new technologies and solutions that have the potential to add value to an operator’s business. As Head of Solutions for Nokia in the UK&I our aim is to build a clear technical vision linked to Nokia’s customer’s business strategy, build senior technical relationships and aim to maximise cross sell and multi-technology opportunities for our customers and Nokia. In addition, based upon market, regulatory and technology trends we look to identify key areas of focus for new Nokia opportunities within the UK&I. 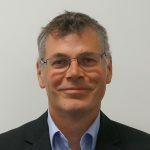 Previous roles during Ian’s career have included heading technical and commercial pre-sales teams and providing senior engineering ICT consultancy services and technical project management services to a global client base. Ian is a Chartered Engineer and holds a BSc. (Hons) in Electronic Engineering from Bangor University (UCNW), a MSc in Telecommunications & Information Systems from the University of Essex and is a Member of the Institution of Engineering & Technology (IET). Adam is Head of Wholesale EMEA for Telstra, a leading telecommunications and technology company. 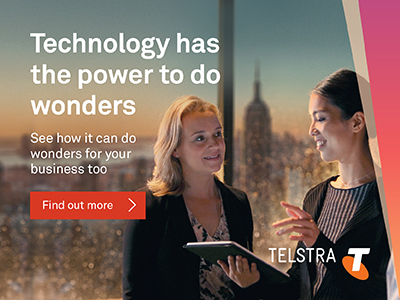 Based in London, he oversees Telstra’s wholesale business in EMEA, with responsibility for developing and driving the business strategy, as well as wholesale and OTT customer relationships. With a strong focus on the customer experience and building value for wholesale partners, Adam has led the EMEA wholesale business to record large referenced deals with customers such as BT, Telia, BICS, Colt, KPN and GTT. 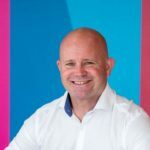 Adam has over 20 years’ experience in the telecoms industry, having held a number of roles at Verizon, AAPT and Pacnet prior to joining Telstra. He is a dual national of the United Kingdom and Australia, a country where he spent a decade building his career. Outside of work, Adam is a father of four as well as a keen footballer and coach. 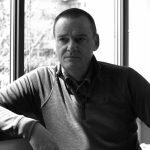 Neil Kitcher is an innovative sales director with a consistent record of delivering direct and indirect channel partner revenue through consultative selling in the competitive world of technology and telecoms. In his current role at Epsilon, Neil is responsible for building, leading and developing a high performing global strategic business unit. He leads a team of 12 across sales, sales support, tech sales, procurement, product, engineering and operations. 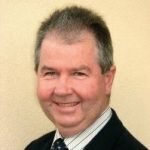 A hands-on team player with a firm grasp of industry technologies and extensive experience of building loyal customer relationships across enterprises and global service providers,Neil’s key expertise includes complex contract negotiation, business development, large scale projects and new concept strategies. His previous experience includes some of the world’s most recognised brands: Verizon, Vodafone and Level 3. Katia Gonzalez Gutierrez has more than 10 years of experience in the mobile and wholesale telecoms industry, and she has held different positions in the wholesale carrier business – including trading manager, pricing manager and now fraud operations manager. She chairs the i3Forum’s fraud work stream, which brings together the communications expertise of more than 49 telecommunication providers, representing a combined retail base of over 1.5 billion customers across more than 100 countries. González Gutierrez holds a computer science engineer degree from Deusto University in Spain and started her career as consultant in the supply chain industry. Maggie Parry is Vice President of Sales, Carrier and Wholesale, responsible for driving revenue growth through this vertical. 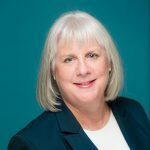 Maggie joined Aqua Coms in 2015 and has more than three decades of telecommunications experience, including fifteen years in the submarine cable arena. She has worked for companies including ITT Worldcom, Telstra UK, MFS, Level 3 Communications and Apollo Submarine Cable System LTD. Prior to her role at Aqua Comms, Maggie spent eight years as a Sales Director at Hibernia Atlantic. She has a B.A in International Relations and Affairs from the University of Colerado at Boulder, and is based in Bromley, UK. Eddie is the founder and Managing Director of Universal Call Limited. Eddie has over 25 years of experience in the Telecoms industry. 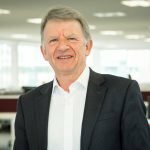 He has held several senior positions during his career with British Telecom. Eddie has lived and worked in Spain, US and Asia Pac, he is fluent in 6 languages. Specialising in outsourcing he held the positions from Directorship to CEO, conducting positive business at board levels around the world. Eddie has won several awards on his outstanding performances. Ian is responsible for acquiring new business partnerships by leveraging Three's mobile network and wholesale platform capability across multiple mobile segments. Helping businesses such as White Label Partnerships, MVNOs, and IoT Service Providers to provide connectivity services to their own customers on the network built for data. Excellent contractual negotiation skills, an example of which, led to the successful negotiation of an IoT partnership with AT&T. A wide breadth of experience of MVNO, OTT and IoT deals, having successfully negotiated ten partnerships in six years. From an engineering background to a telecoms expert, previous experience includes product development, sales and marketing roles which provide a unique mix of excellent technical knowledge, commercial awareness and a willingness to challenge and break barriers. As EVP Mobile Cloud, Paul leads Digitalk’s cloud-based ‘MVNE as a Service’ business unit, supporting MNOs, MVNAs and MVNOs. Paul has an extensive background in the telecoms industry, working with both operators and vendors in a range of executive roles to deliver innovative and successful communications products and services. 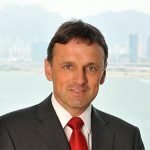 Chris van Zinnicq Bergmann has over twenty years of experience in the global telecommunications sector. 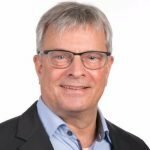 He started his telecommunications career in Amsterdam where he held corporate as well as sales related positions at BT, Unisource (a joint venture between KPN, Telia and Swisscom) and AT&T-Unisource. In 1999, Chris left Europe to move to Los Angeles, where he became a member of the team that started the operations of Asia Global Crossing, which later evolved into Pacnet, a subsea cable operator in the Asia Pacific region which in 2014 has been acquired by Telstra. In 2002, Chris relocated to Singapore from where he headed the company’s market expansion activities in Southeast Asia and India and from 2005 to 2008 was the regional head for Southeast Asia and India, responsible for the company’s wholesale and enterprise business in this region. 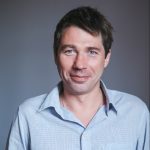 At the end of 2008, Chris moved back to Amsterdam to take up the role of regional head for Europe and North America (until the end of 2010) and subsequently for Europe, the Middle East and India. In 2014, Chris joined Global Cloud Xchange and is currently based in Amsterdam as the head of Carrier Sales in Europe. After joining Expereo 11 years ago and setting up the first international Expereo office in Singapore back in 2008, Sander now works out of the HQ in Amsterdam as the Chief Commercial Officer. His team is spread out globally across 5 offices. 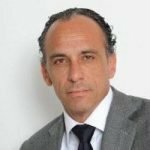 Before joining Expereo Sander worked out of Australia for BT Global Services and Infonet Services Corp. His telecom career started in 1997 with Unisource Business Services and AT&T Unisource in Europe. Nice to know fact: before Sander went into telecom he was a helicopter pilot. As Director, Sales – West Africa, Nikki is focussed on extending WIOCC’s footprint across West Africa. Nikki has been in the telecoms industry for almost 20 years and joined WIOCC in 2016 after eight years with Tata Communications, where she sold a wide range of Data services across numerous countries in Africa. 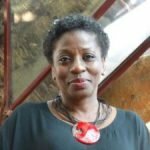 Nikki also held managerial roles at Gateway Communications, where she established multiple interconnects with organisations such as Safaricom and Ethiopia Telecoms; and Cable & Wireless, for whom she sold services in sub-Saharan Africa and the Middle East. Nikki is passionate about Africa and feels privileged to have seen and taken part in the technological advances that have occurred over the years. She lives in an Oxfordshire village and loves going on country walks with her daughter and dog. Kim Bybjerg is Vice President IoT & Mobility at Tata Communications, a leading global provider of A New World of Communications™. 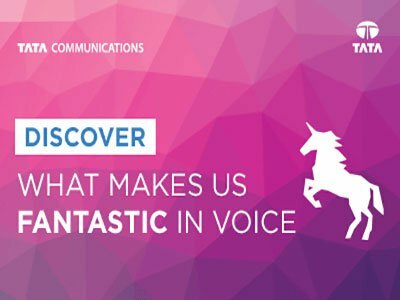 With a leadership position in emerging markets, Tata Communications leverages its advanced solutions capabilities and domain expertise across its global network to deliver managed solutions to multi-national enterprises and communications service providers. With extensive experience in the IoT field, Kim has been involved in countless IoT projects across Europe and outside, being responsible for the go-to-market strategy, the commercial and product strategy, as well as the execution of these strategies. Prior to Tata Communications, Kim has been CEO of Teleena and Director Business Development in Europe, Middle-East and Africa for Jasper (now Cisco-Jasper), a large provider of IoT SaaS services for Telecom operators. Before that, he has been Managing Director at JHB Group, which envolved out of two technology companies: mobile payment enabler, Liquix, and smart-metering company, Xemex. As Director M2M Northern Europe at Vodafone, Kim has been developing the M2M activities for one of the largest telecommunications companies in the world. Before Vodafone, he already setup the M2M business for KPN, where and for which he also established a partnership with Jasper. Robert Staniszewski has been active on Poland’s mobile telephony market for 21 years now. Since 2009 he has been the Director of the Wholesale Department at Polkomtel Sp. z o.o. (the operator of Plus mobile network) and Cyfrowy Polsat S.A. (the biggest pay TV provider in Central and Eastern Europe). - wholesale settlements with partners. Robert Staniszewski is a graduate of the Faculty of Economic Sciences of Warsaw University where he studied International Economy and completed his studies with a major in economic sciences. 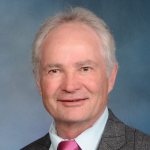 Subsequently he completed doctoral studies at the Faculty of Economic Sciences of Warsaw University, obtaining a Ph.D. title in Economic Sciences. 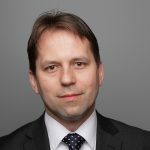 Until 2006 he worked as an Assistant Professor and lecturer at the Chair of International Economic Relations of Warsaw University’s Faculty of Economic Sciences. Theo has broad experience in fixed and mobile communications having worked in technology and commercial roles. At CKH IOD, a fully owned CK Hutchison Holdings Limited company, Theo leads business development for multi-national MVNO, IoT and OTT Service Providers looking to leverage on the group’s extensive assets. CKH IOD was launched in December to maximise cross border digital success and data analytics for CK Hutchison, acting as its international development hub across its global business units. CKH IOD customers benefit from CK Hutchison Holdings Limited’s world leading data and network solutions, leveraging the group’s extensive assets. The new unit champions bold, mould-breaking products and services, rooted in the digital world. It is built on the digital transformation of the group as it moves towards a more streamlined, cost-effective future with potential for new revenue streams in multiple sectors, including online gaming and IoT. 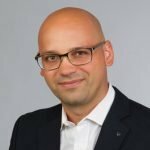 Steffen Oefner is the heading the Mobile Wholesale Business Models team at Deutsche Telekom – Segment Europe. 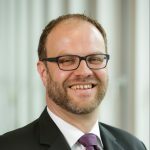 In this role, Steffen is responsible for Deutsche Telekom´s Mobile Wholesale business in the European footprint together with the local teams. This includes developing and implementing growth opportunities with existing and potential partners. Prior to joining Mobile Wholesale, Steffen worked in multiple international functions at Deutsche Telekom. 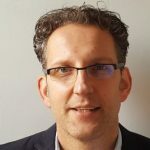 Before Deutsche Telekom, Steffen worked as a management consultant, specializing in business strategy, product and pricing related projects for numerous mobile and fixed-line operator across Europe. Steffen holds a Master in Economics from Philipps-University of Marburg. 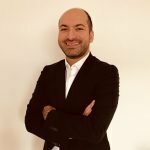 Halil Kama is a peering advisor for the London Internet Exchange (LINX). The largest non-profit purely mutual Internet Exchange operator in the world. He has several years experience of working at the heart of the internet with vast exposure to over 750+ of the top ranking internet & telecoms companies globally, enabling connections to millions of users daily. Andy is Chief Operating Officer of Seaborn. He is responsible for leading all aspects of Seaborn’s global operations and engineering. Over the past three decades, Andy has developed and brought into operation numerous transoceanic and regional submarine cable systems connecting Africa, the Americas, Asia, Australia, Europe and the Middle East. Andy began his submarine telecom career with FLAG (FEA Submarine System), where he was responsible for the successful commissioning and bringing into service of all 15 segments of the Europe to Asia submarine system and for the centralized management of the entire system from the FNOC in Fujairah, UAE. Most recently, Andy led the project management for a new 1,240 km submarine fiber optic cable system linking Trinidad, Guyana and Suriname. Andy served in the Royal Air Force where he received a degree in Electronic Engineering and Aerospace Studies, and thereafter entered the telecom industry with NYNEX in the UK. John enjoyed more than 25 years in Tech working for telecom technology and managed transport service providers in International Sales and Business Development generating new revenue streams, usually from scratch. His international experience includes acquiring business in West, Central and Eastern Europe, USA and Middle Eastern markets, also Asia. Large network of contacts in these regions. 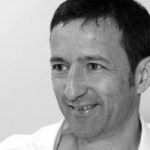 Alistair’s career spans over 20 years in the telecoms sector, during which time he has worked both within major UK telecoms operators including BT and Manx Telecom, as well as being instrumental in establishing and growing managed telecoms solutions providers. His focus on technical innovation combined with his experience in business development have enabled him to create strategic relationships to position these businesses at the forefront of their market and generate new revenue streams. 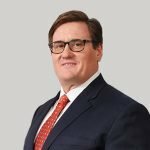 During his time at Pod Group, he has been responsible for specialized projects within the Pod Solutions division, working with key partners and stakeholders to develop new products and services, drive the research and development of new technologies and build strategic partnerships with customers and suppliers. Sally has worked for nearly 20 years in the telecoms sector in both fixed line and mobile sectors, and joined Lifecycle Software in 2014. At Lifecycle she has played an in instrumental role in managing and delivering phenomenal growth, as the company has transformed to make customer engagement, agility, innovation and creativity key themes that deliver scalable and sustainable partnerships. Managing a wide range of functions Sally is known for getting things done and implementing change. Lifecycle’s current focus is on ensuring their solutions continue to evolve to support market requirements in response to shifting technological landscapes. Chris has over 19 years of senior level experience in the prepaid telecom industry. He pioneered many of the technical, commercial and legal industry standards in Europe for prepaid products and has worked extensively with Government Regulators and Tax Authorities. 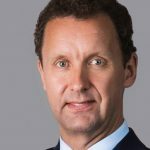 Chris was founder and CEO of Unitel Communications in 1994, co-founder of ECCSA (European Calling Card Services Association) in 1999, Chairman from 2001 to 2005. Chris is responsible for business compliance and corporate governance for the Lycamobile group. Chris holds a masters degree in History and Economics from Oxford University. Matthew Whalley co-founded content marketing agency Ilex Content Strategies. Ilex supports Tech and Telecoms companies with Public Relations, Marketing Content and Sales Enablement. It supports the development of Channel Partner Programmes, Lead Generation campaigns and Offline and Online engagement. Ilex serves start-ups through to billion-dollar businesses in Asia, the Middle East, Africa, Europe and the Americas. Matthew was the editor of Capacity magazine and the European Technology Content Director at global PR firm Edelman. His business development skills and entrepreneurial spirit have allowed him to create a content marketing business from the ground up and see it succeed as a thriving global business. Angelo Paiva is the Wholesale Director with Telecall. 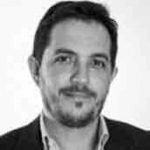 He has 15 years of experience in the International Wholesale market and attended all the major conferences around the World helping Telecall to achieve its World presence and build its Wholesale Team. 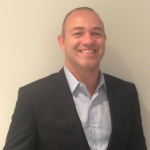 Telecall launched its MVNO in Brazil, and with a good understanding about Marketing and Sales Angelo is helping Telecall to develop the Marketing strategy and of course looking into the Wholesale perspective. Angelo in under graduated in Publicity and has 2 MBAs, in Marketing and Computer Networks. 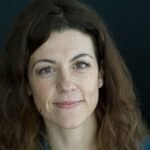 Susana Calvo is Regional Director, for Telxius in the UK. Susana joined Telxius after over 15 years in the Telefonica Group, in Germany and Spain. She is responsible for Sales and Business Development in the EMEA and Middle East Region. She has a Global MBA by Oxford Brookes University and a B.A in International Business Administration by Universidad Complutense, Madrid. Susana is a passionate professional, always looking to develop new business opportunities and partnerships to support Telxius continuous growth in the international Submarine capacity arena. This is supported with over 20 years international experience and successful track record in different management positions across Europe, within large organisations as Telefonica Group, Colt Telecom, Vodafone Group, EU Commission. 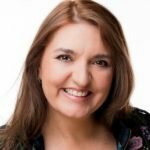 Susana is an excellent multi-lingual communicator (Spanish, English, German) with proven ability to achieve significant business results in a fast-changing environment. Susana has also experience with startups for the development of technological solutions for Cybersecurity for Children and Young Adults base on IoT and AI. 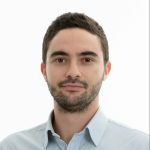 Vlad Ihora joined Colt in December 2016 as Director of Wholesale, part of the Major Deals team. The Major Deals team seek, design and deliver new, strategic, high-value propositions to the global Wholesale market sector using a consultative, solutions-focused sales approach. His remit covers both standard and new product portfolios. 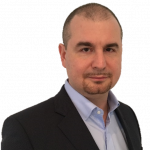 Prior to joining Colt, Vlad was Sales Director, Professional Services at Level 3 Communications UK. Vlad has extensive experience in the telecommunications industry, having also held roles at Huawei and TeliaSonera. 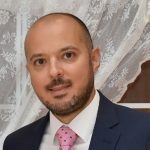 Vlad has worked in the telecommunications sector for almost two decades, with his career focusing on areas such as product, strategy and business development. He holds an Executive MBA from the Imperial College Business School in London. Vlad is based in London. 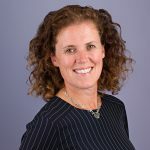 Kim founded Lifecycle in 1995 after 20 years of working in blue chip companies performing various technical, project and business consulting roles. He has built the company into a sustainable force in the telecoms market, continuously driving forward innovation. Kim is an active director of Lifecycle working in both R&D and Business Development. As a sourcing manager, Othman is exploring the world of Telecoms to find opportunities and partners for Legos. Graduated from Audencia, his career has led him from Morocco to France and, now, Spain. As a former analyst and consultant, Othman is always looking for new market opportunities. Don’t hesitate to come to him to exchange about buying or selling opportunities.